Whenever I go out of town, I notice the differences in deck construction, particularly in other states that don’t have a robust or uniform building code like Virginia. One of the most common mistakes I can easily see from my informal windshield survey (or handlebar survey when I’m riding my bike) are notched guard posts. Statistics from deck collapses nationwide verify that one of the weakest points on a deck is the connection of the guard post to the deck framing (the other is the ledger board connection; see the July 5, 2017 post below). Per the building code, in a worst-case condition, a guard post must resist a horizontal outward force of 200 pounds at its top. For a 36-inch tall guard, that translates to a rotational torque (moment) at the connection to the deck of 600 foot-pounds. The most important part of a post at that connection is its thickness – the exact location of the notch! Most guard posts are comprised of wood 4x4s which have actual dimensions of 3½ inches by 3½ inches. The average notch I’ve seen is roughly half of the guard thickness which equates to a 1¾ inches. However, I’ve seen some truly butchered posts that were notched in both directions into a 1-inch by 1-inch section. Considering a post with half its thickness notched, its ability to resist the rotation is not reduced proportionally. Due to the way a section is analyzed, the actual resistance is reduced by 75 percent. That reduction increases exponentially for every additional loss of section. 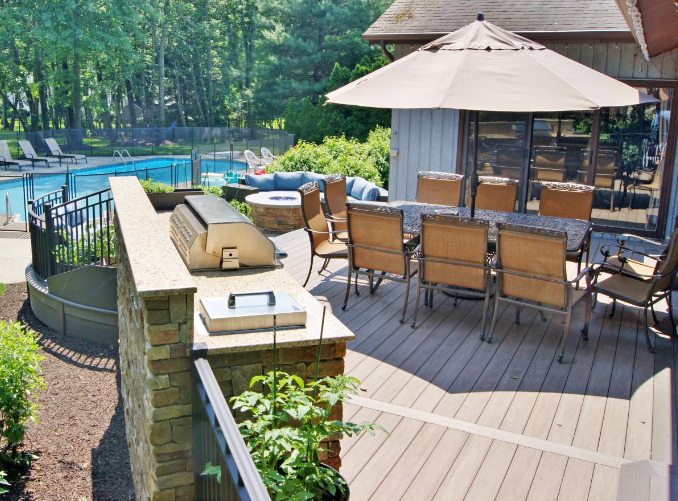 If you’re building a deck, do NOT notch the guard post, and follow all the connection requirements from the Fairfax County Typical Deck Details to ensure your guard system is constructed safely and can resist the required loads. Deck collapses caused by failure of a nailed deck-ledger-connection to the structure or house have been followed since 2002, when researchers at Virginia Tech began to investigate and test critical structural elements of a residential/multi-family deck. After several years of tracking deck collapses, it became apparent that the primary cause of deck collapses was the connection of the deck ledger to the house made with nails only. In fact, I believe 90% of all deck collapses result from the failure of the deck ledger-to house connection, and of the 90% most are caused by nailed-only ledgers. Background For decades, the residential codes have specified an occupant deck load of 40 pounds-per-square foot (psf), which translates into about one average-size person locating a space of 2-ft. by 2-ft. In addition, every edition of the International Residential Code (IRC) since 2000 has required that decks be positively anchored to the structure to resist both vertical and lateral loads. Assuming a deck that is 14-ft by 28-ft, the code design load would anticipate the deck could be safely occupied by 98 people. However, until 2007, the IRC did not prescriptively specify how contractors should fasten or connect the deck ledger to the house. and a wood construction consultant. When did you first get involved with this industry? It’s been about 30 years…ouch! What inspired you to join NADRA? Our company had been working with contractors, carpenters and deck builders for years providing our CableRail products, so when NADRA approached us we thought it’d be a great way to support the industry and keep informed. We were one of the charter members of NADRA. What was the first thing you ever built? I built this really cool coaster with a 2×4 frame, rope steering, and thin ball-bearing wheels held on to 1/2″ rod axles with cotter pins. Completely dangerous but totally fun. I’ve never built a deck, but I’d like to. We want to get to know you, please tell us a little about your business: Feeney’s been around since 1948. They started as a small, family owned wire, rope, and rigging supply company serving the San Francisco Bay Area maritime and industrial communities. In the late 1980’s I joined the team to manage the marketing of a new line of stainless steel cable assemblies that was soon to become our CableRail product. Since then, the company has grown exponentially, and while we still do some industrial rigging, our main business is architectural products. We obviously still have CableRail going strong, but we also have our DesignRail aluminum railings, stainless steel structural & decorative rods, as well as a line of rod & cable garden trellises. We distribute throughout the USA and beyond and have worked on thousands of deck and railing projects spanning commercial, institutional, and residential applications. I still head up the marketing and advertising, and it continues to be busy, crazy, fun (and sometimes not-so-fun) and rewarding. How do you define success? 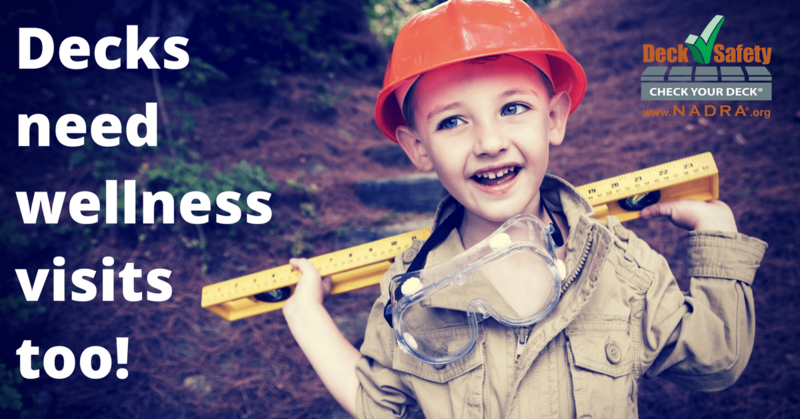 Personally, I’d say happiness is my primary measure of success. Professionally, building a profitable company/business while treating people (employees, customers, vendors) honestly and respectfully. 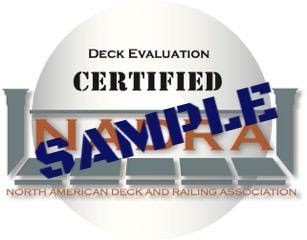 Why do you support NADRA’s Deck Safety Initiative? Given the nature of our deck and railing products, Feeney, Inc. has always been committed to deck safety, and we’re proud to partner with NADRA during May’s Deck Safety Month. Deck safety hits close to home with our Feeney family, especially when the safety of a deck and railing can depend on how we develop and explain our products. We strive to ensure that all of our products, when installed properly, exceed code safety standards, and we proudly support an organization like NADRA that shares our standards and values. 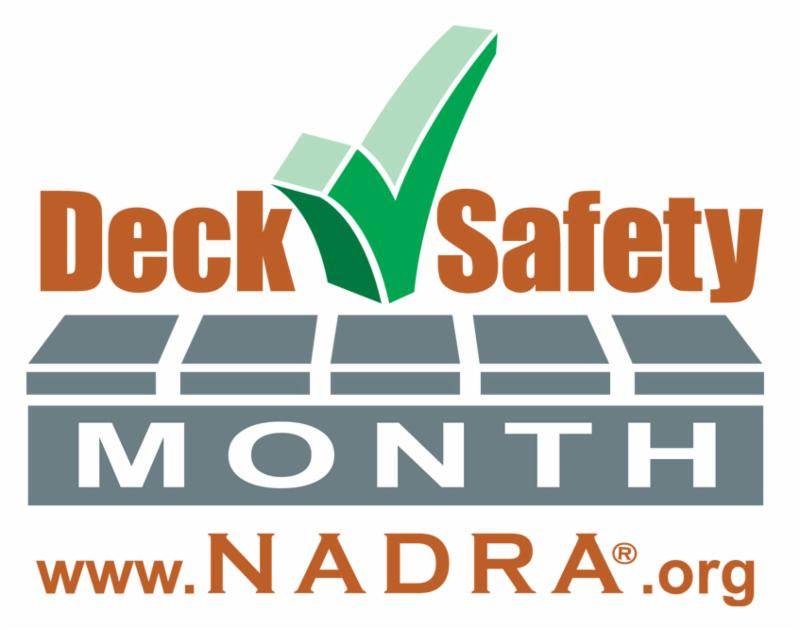 This month we’re supporting the cause with social media promotions as well, utilizing our Facebook and Twitter feeds to share information about NADRA and our industry’s Deck Safety Month efforts. What would you do for a career if you weren’t doing this? Good question. You, know, it’d have to be something outdoors. I could see being a carpenter or contractor, and then I could also see being a river raft or backpacker guide somewhere. Hmmm… now you got me thinking. A little more about Andy: Born and raised in Oakland and still not a Raiders fan. No pets, married with one 14 year old daughter who is the love of my life even though she drives me crazy sometimes. I enjoy biking, both road and mountain, skiing, golfing, kayaking, building/repairing stuff around the house, BBQing, and drinking beer.